When starting a coaching relationship, one of the most important things that a coach needs to do is create a safe environment for the client. If a client doesn’t feel safe, it doesn’t matter how well the coach listens or how good the coach’s questions are. 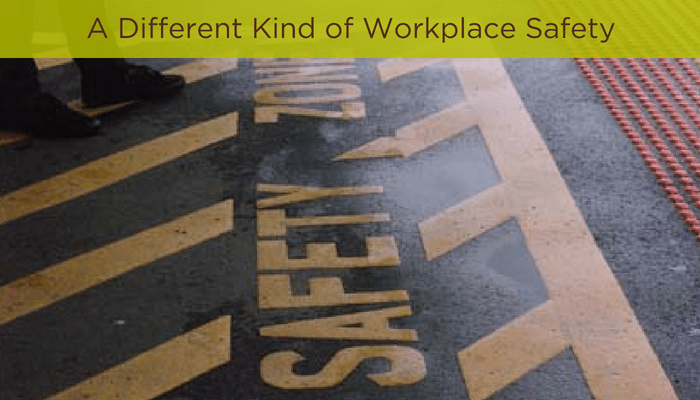 Without safety, the client is going to stay in their comfort zone. It’s difficult to explore different perspectives or try new things if it doesn’t feel safe. In other jobs, not knowing can be seen as messing up or can lead to questioning if you are good enough for the task at hand. In the past, it’s possible I pulled answers out of the air in order to get through a meeting and get the spotlight off of me! But having a coach for a manager means admitting you don’t know is only going to lead to a thoughtful question or two. When admitting you don’t know is seen as a strength, not a weakness, it creates safety. That opens up the dialogue in a healthy and productive way! As a result, I also feel safe to take chances. I feel safe to suggest something bold and to offer the crazy idea. That’s not to say every idea is always accepted, but it leads to good brainstorming! More often than not, there’s a nugget in the crazy idea. In coaching, you are always looking for those nuggets to use as a jumping off point to gain some new awareness. Darcy creates that same environment as a manager. There are insights even in the bad ideas and sometimes the crazy idea leads to the great idea. Taking a coach approach to management means Darcy is asking questions, listening, and creating structures. But sometimes, “What do you want to do?” is not always the right question. Sometimes the better question is, “How do you want it to feel?” Darcy wants it to feel safe and that makes all the difference.